Rev. Coryn Peña (Elder) from Philadelphia: Frankfort Memorial, 1/2-time, and Holmesburg, 1/2-time, to Philadelphia: Holmesburg, 1/2-time, and to Philadelphia: St. Philip's, 1/2-time. Rev. Mary Catherine Miller (Elder) is withdrawn from Philadelphia: Fox Chase, 1/2-time. Appointment will not change for 2016-2017. Rev. David G. Ryan (Part-time Local Pastor) from Philadelphia: Bridesburg, 1/4-time, and Philadelphia: Kensington (Old Brick), 1/4-time, to Philadelphia: Fox Chase, 1/2-time, and Philadelphia: Kensington (Old Brick), 1/4-time. Ms. Lorraine Foster (Certified Lay Minister) to Montgomery Square UMC, 1/2-time. Rev. Steven J. Handzel (Provisional Elder) from Montgomery Square, 3/4 Time, to Marshalltown UMC, 3/4 Time, effective July 1, 2016. Mandy Miller (FE) to Wyomissing: Calvary, 1/2 time. This appointment is in addition to Rev. Miller's current appointment to Reading: Holy Cross, 1/4 time. The Rev. Lillian Smith (Elder) from St. Matthew's UMC of Valley Forge to Cheverly UMC in Cheverly, MD (Baltimore-Washington Conference). There's something special about the final Listening & Discernment Session our General Conference delegation will host Saturday, April 23, at the Conference Office. It will all happen by telephone for the convenience of those who could not attend the previous three sessions in person. And even better, they will call you. The delegates will call anyone who has signed up to participate in this experimental telephone outreach effort from 9 AM to 10:30 AM. There are still open slots available if you want to receive a phone call and express your views or concerns about General Conference legislative issues and proposals for up to 5 minutes. The delegates want to hear from you. Please sign up online by 7 PM today to reserve a time for your phone call. No sign ups will be accepted after then. Click on General Conf. Delegation Listening Session 1, and then choose one of the available times. Be sure to leave your name and phone number. If anyone needs help signing up, they may e-mail the Conference Communications Office or call 484-762-8227 by 7 PM today. The Lancaster Marriot Hotel is now sold out for the duration of Annual Conference, June 16-18. Advanced Sexual Ethics: "Leading between the Lines"
Please register today for this event. This workshop is the last opportunity to fulfill the quadrennial requirement in sexual ethics. "Leading between the Lines" created and taught by the Rev. David Woolverton Sr. pastor of St. Mark's UMC, Mount Joy, is all about applying family systems principles to your personal life in order to impact your leadership, ministry and church. Woolverton, a doctoral candidate in conflict management, says, "We will explore eight things that make pastoral leaders cross boundaries, as well as how to define yourself around leadership and personal values. Bring your Bible, too, as we explore 'best practices for accessing 'Axios' (a Greek word meaning "worthy") in enhancing overall effectiveness in ministry." INFORM: Church Refugees: Why are a growing number of people DONE with church but not their faith? INSPIRE: Let us be open to new things. INVOLVE: Recent disasters cry out for our response. As Ecuador struggles to recover from the devastating earthquake that struck April 16 and killed over 500 victims, Bishop Silvio Cevallos of the Evangelical United Methodist Church there asks that people "continue to hold our country in prayer." At least 2,500 are injured and others are missing, as people fear continuing aftershocks that have caused widespread destruction, knocking out electricity, water and communications to scores of communities. Relief agencies are working in the disaster areas, but many roads are impassable, reported Cevallos. The two Global Ministries missionaries assigned to the country are unharmed and adjusting to the dire state of emergency, while thousands of army troops and police have been deployed in the affected areas. Methodist congregations there are trying to help affected areas and checking on families and fellow churches. In addition to prayers, donations may be made through Ecuador Undesignated (Advance #00433A) or the International Disaster Response fund (Advance #982450 ). Two of the Eastern PA Conference's District Resource Assistants (DRAs)--key staff persons who serve information and coordination needs for their districts--will leave their posts over the next month. 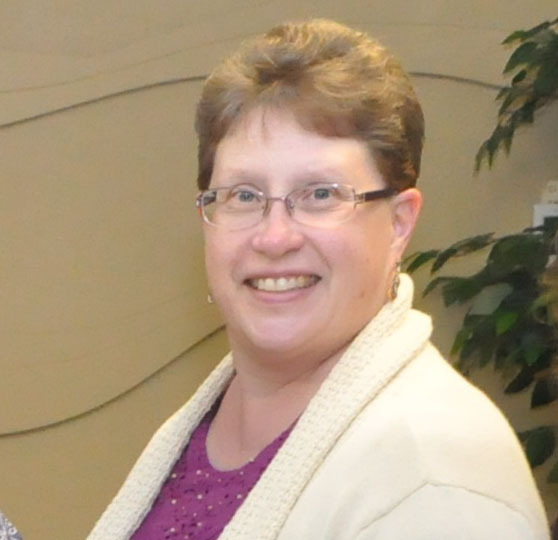 S outhwest District Resource Assistant Christiane McLaughlin has resigned as of April 29. On May 2, she begins joins the Corporate Sales Administration of Select Security, a home and business security provider based in Lancaster with nine regional offices. "I will miss working with the good folks of the Southwest District," said McLaughlin, "but I am very excited about starting a new adventure." The job opening for a successor has been posted internally among current staff with a deadline of April 24. If no one on the current staff is selected, it will be advertised externally. "Simply working with Chris has been a blessing for me," said the Rev. Bumkoo Chung, District Superintendent, "as she is not only a DRA but also a local pastor. And like a pastor, she has brought rich knowledge, resources and professionalism to her work in serving our local churches. I will truly miss her, but I am happy for her new journey and the opportunity that awaits for her." Central District Resource Assistant Darlene DiDomineck has resigned and will leave her position on May 26. 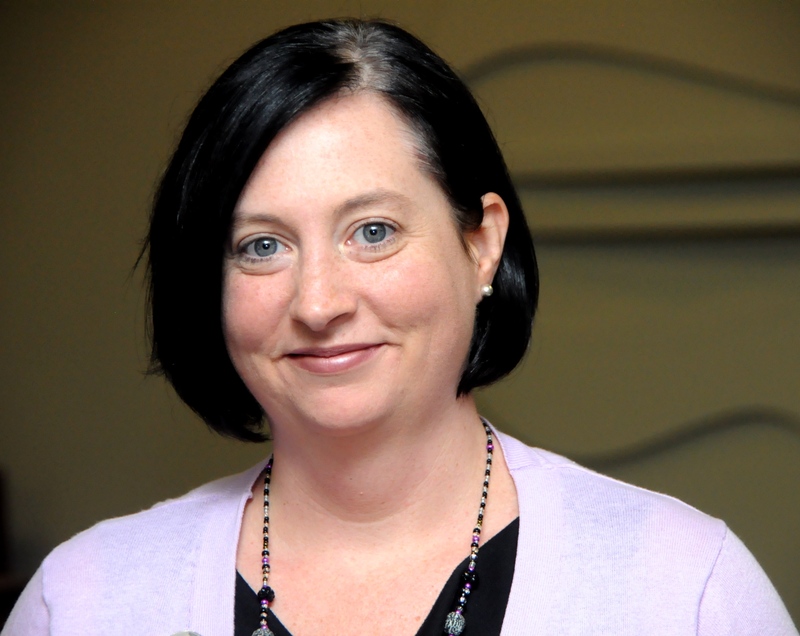 She has been named the new Interim-Executive Director of the Methodist Federation for Social Action (MFSA), based in Washington DC, beginning in June. DiDomineck, a Deaconess and a MFSA board member, will be appointed there until a new executive director is hired. The search for a new executive will begin this summer. MFSA's mission is "to mobilize, lead and sustain a progressive United Methodist movement, energizing people to be agents of God's justice, peace, and reconciliation." Lancaster Theological Seminary has been approved to teach Basic Sexual Ethics (BSE) to fulfill the Board of Ordained Ministry's (BOOM) course requirement for clergy. The course will be offered May 4 at a cost of $40, payable to the seminary. Information and a registration form are available at lancasterseminary.edu/academics/continuing-education/boundary-training . This course, which must be pre-approved for credit, and other Boundary Training courses at LTS and at Evangelical Seminary in Myerstown are approved to fulfill the BSE requirement. Those required to take the training in Eastern PA may also substitute a Peninsula-Delaware Conference BSE course. St. Matthew's UMC of Valley Forge hosted an encore of "The Encounter" on Saturday, April 2, a creative faith-sharing and fellowship event designed for young adults and also youth. The last Encounter, held in October 2015, drew 44 people. This one welcomed 65 people from various churches and denominations, who came to minister to one another through song, dance, conversation and spoken word. And there was visual art, too, as attendees made T-shirts to give away and a banner to hang in the hallway. "People came together to worship, fellowship, network and witness to the presence of the Holy Spirit," said Brittany Abdullah (above), lead organizer of the event. "The Encounter will continue to be a blessing to people not just here but in different churches and locations to bless people everywhere." On evaluation forms, some wrote that the Encounter "helped them spiritually and they wanted to hear more spoken word," reported Abdullah. "I also received Facebook and text messages that we helped people who were having a rough day... to take their eyes off their problems, give them to God and praise Him through their pain... I am excited to see how (this ministry) will flourish and become something even greater." Check out and try to attend these special local church events. And please send us information on special events planned for your local church, so we can share your good news with the conference and beyond. Churches in two Eastern PA Conference districts hosted intercessory prayer services recently, welcoming more than 70 people in total who gathered to pray for the United Methodist Church's General Conference 2016. The last of six district "Prayer Posts," leading up to the May 10-20 global legislative assembly, will be hosted by Washington Crossing UMC in the East District on May 1, from 6 to 7:30 PM. Learn more about what happened at the two recent prayer services and what's planned for the final one. Online registration is underway for the 2016 Eastern PA Annual Conference , June 16-18, at the Lancaster Marriott Hotel and Convention Center. Hard-copy materials will be mailed out by next week. All clergy and selected lay members to annual conference are urged to please register online now or well before the May 13 deadline. The r egistration cost is $225 for all members. Registering after May 13 will incur a $50 late fee, with no exceptions.